TeraSense has always been willing to go great lengths for the sake of keeping abreast with the cutting edge of technological breakthroughs. 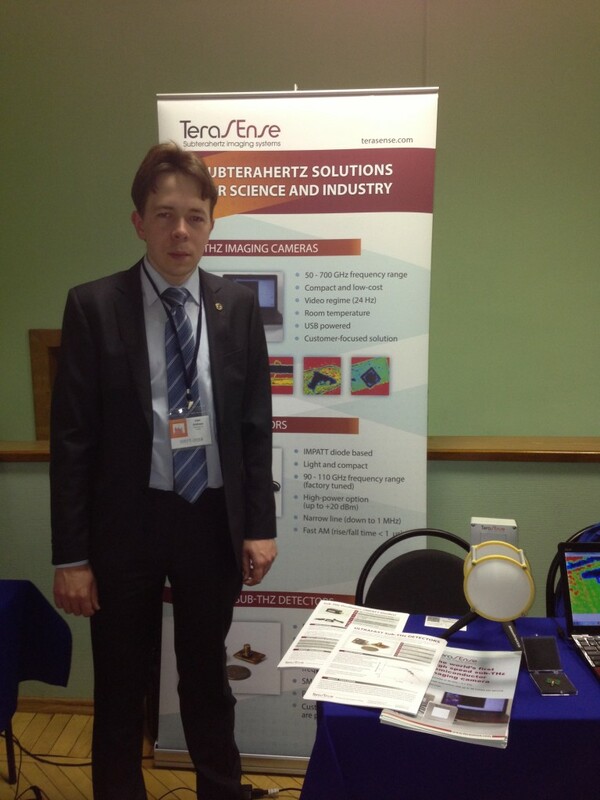 But this time there was no need to travel far away to get important updates on the latest and greatest scientific innovations, as TeraSense attended the 25th International Symposium on Space Terahertz Technology, which was held right in the heart of Moscow, Russia (April 27-30, 2014). Of course, we made the best use of this opportunity to share our latest state-of-the-art THz-related technological achievements with the rest of scientific world. We attend a great deal of THz- related events all over the world - shows, workshops, conferences, exhibitions, symposiums, you name it. In doing so, we usually bring our best imaging systems thereby making them available for demonstration. For instance, this show hosted by National Research University Higher School of Economics, Moscow, Russia was lucky to feature our Ultrafast sub-Terahertz detector that distinguished itself by demonstrating excellent response time < 150 ps! You are welcome to read more on that subject by checking out our previous news here ….